Image: Amazon, Rothy's, Hydroflask, Lepusinensis/Getty Images. Design: Kenzie Mastroe/SheKnows. When it comes to shopping for women, we can all agree on one fact: Buying all the awesome women in your life the same gift never cuts it. Just think about it. By no means can you give your badass boss the same gift as your shy sister-in-law. It’s time we all took a break from our normal routine of choosing gifts off the New York Times’ best-sellers list or Amazon’s homepage. From trendy gifts for your sis (that are Meghan Markle-approved!) 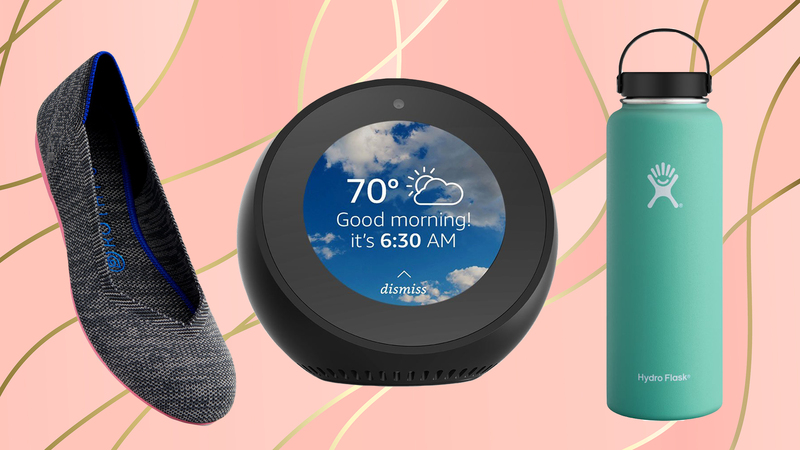 to adorable, practical items for your motivational girlfriend who will never let you skip a cycling class, here are 10 gifts for every woman in your life. Give the gift of hydration to the woman in your life who motivates you to work out more. This Hydro Flask is perfect for a long hike or a spin class. Struggling with gift ideas for coworkers, teachers or neighbors? Pick up stocking stuffers for under $10 at your local Massage Envy! Best friends hear all about each others’ struggles every day, from boyfriend drama and work drama to hard workouts. You know she’s going through a lot, so help her melt all that stress away with a massage. Help your coworker ditch that bulky Tupperware for her lunch and snacks, and give her a reusable and flexible Bee’s Wrap lunch pack. This eco-friendly product helps save the environment — and room in her bag. Awards stacking up on your boss’s desk? Get her a pair of cute floating shelves to display all her accomplishments and photos. Show your sister she deserves some nice flats — especially after all those years you “borrowed” her clothes and shoes. Rothy’s flats are not only comfortable, but they’re also sustainable (they’re made from recycled water bottles). Whether you’re best friends with your sister-in-law or just getting to know her, you can’t go wrong with a relaxing bath bomb set from Lush. Tired of looking at the ceiling every time you FaceTime with your mom? The camera just can’t stay still with all her hand gestures! 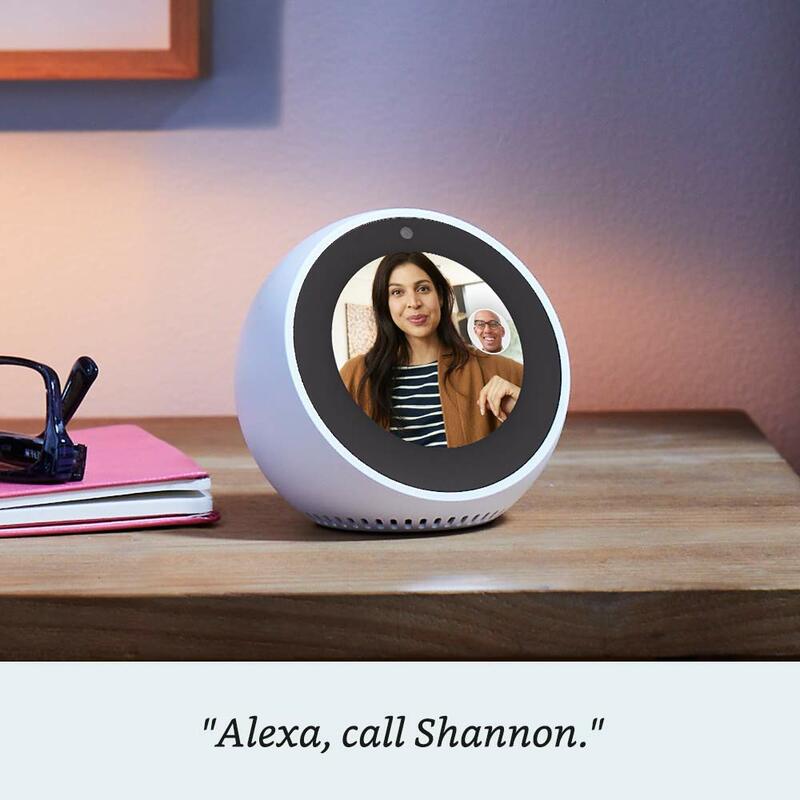 Set your mom up with an Amazon Echo Spot so the camera stays in focus when you chat. Have a free-spirited aunt who is always exploring a new city or on a trip each weekend? Give her a classic vegan weekender bag to help her quickly pack and go. We know you and your mother-in-law have bonded over watching Fixer Upper. Help her add some Chip and Joanna Gaines style to her home and give the gift of Hearth and Hand. Nothing beats a good night’s sleep, and a weighted tranquility blanket is all the rage right now. Give Grandma a nice weighted throw blanket for her afternoon naps or a comfy night in.